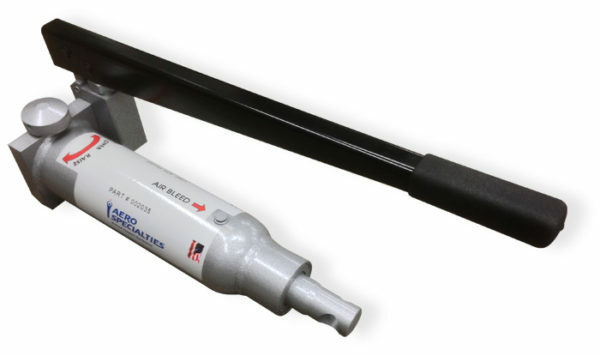 AERO Specialties Rx Towbar Hydraulic Combo Hand Pump. Designed specifically for the Rx Aircraft Towbar, the Hydraulic Combo Pump features an air bleed system for easy raising/lowering operations. With a rugged construction, this hydraulic towbar pump will stand the test of time on the ramp. This pump is also used on the AERO Hydraulic Towbar Lift Kit. Lightweight & compact in design. Low handle effort to minimize operator fatigue. Corrosion resistance  stainless steel, aluminum, and corrosion resistant materials  standard in all pumps. Pump body and reservoir end cap  machined and anodized aluminum. 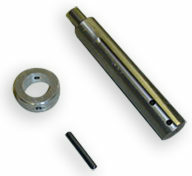 System pressure release valve  externally replaceable cartridge type & cannot be over tightened when closing. 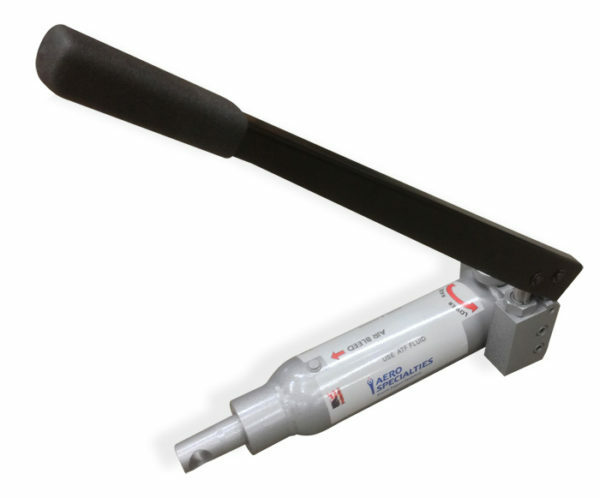 Pressure ports  two ¼ NPTF ports standard. Port #1 is out front of pump body and port #2 is on left side of pump body. Inlet and outlet check valves  zero leakage/leak proof stainless steel.